One of the more interesting comments I’ve heard about oil & gas software was in regards to being too easy to use. Typically something along the lines of they don’t want to feel like a kindergartener could do the job. While I was surprised to read something like this, I began to noticed that it is the prevalent feeling in the industry. Users will brag about how they are able to do things with a particular system that nobody else can. They will complain about how difficult it is to work around oddities of a particular software, but then are hesitant to share that knowledge. The bottom line is that they believe that being able to get around in crappy software is a significant part of the value they provide and that’s pretty ridiculous. 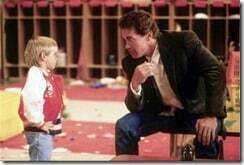 This particular phenomenon was on my mind the other night while we were watching Ironman 3. If you haven’t watched Ironman 3, it is better than 2 but not quite as good as the first. In Ironman 3, the newly renamed Iron Patriot is stolen from Lieutenant Colonel Rhodes and the bad guy flies off in it. My first thought is, how on earth did this guy know how to make this suit function. We know that there is a fair amount of voice control, but it would seem as though there is a significant portion of the control that is gesture based and some is just magic. Regardless, there is software powering this suit and the bad guy jumps in and uses it just fine. No training required. Off hand there’s not much to consider. It’s a movie. Later within that same movie though, the president is put into the suit and the suit is told to go to a particular location. The president apparently didn’t know how to use the suit and just went along for the ride. Just a stark contrast to the original bad guy who made the suit do what he wanted. While I understand this is a movie, there is a point. Even if software is easy, it’s only as good as the user. The bad guy in the movie was ex-military and we assume he had some background in weapons, but no specific training on the Iron Patriot suit. 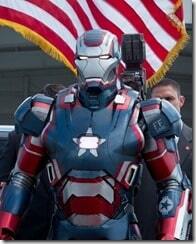 Regardless, he was able to make the Iron Patriot suit do what he wanted. This ability points to the fact the the Iron Patriot software must have been intuitive and easy to use. Even with that fact, the president was not able to make the suit do anything at all. The moral of the story, software will not turn you into a superhero. You must already be a superhero, and software can help you be even better. In photography it is often said that the camera gets in the way of the creative process. Great photographers can visualize the picture they want before they even pick the camera up. They understand their experience and vision make them great, not their equipment. The same can be said about oil & gas professionals and their software. A mediocre land man, geologist, or log analyst will not suddenly become great if they team up with great software. They will simply put out mediocre product more efficiently. However, the awesome land man, geologist, or log analyst will be able to create more awesome stuff with software that allows their brilliance to shine through. In other words, software is simply the vehicle for the user to show their expertise. 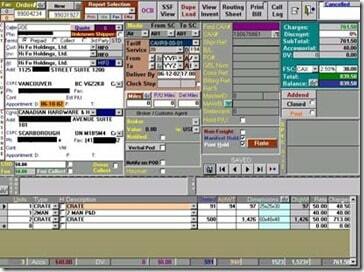 This is where oil & gas software has specifically gone wrong. Users have gotten used to software being so complex that it takes weeks of training and years of experience to become proficient. Understanding that software becomes a skill all its own. Understanding complex software does hold value but only because so many software packages are unnecessarily difficult. Holding on to the thought that a good portion of worth to a company is due to an understanding of software and not the understanding of the underlying principles is a mistake. It’s time for oil & gas software to get on board and start focusing on user interface. It’s time for new technologies to be implemented. It’s time for a fresh look at things. There is no reason software companies aren’t fixing this problem. If the software gets better, users will see that they spend less time fighting with their software and more time getting solutions to the people that matter. That is why WellDatabase has taken the approach we have. Our main objective is to get the user the data they need and stay out of their way. Most users will take the data they get from our systems and make something more from it. Our job is to make getting that data as easy as possible so users can get on to what makes them great. Their experience and knowledge.